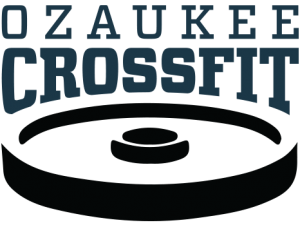 Our certified CrossFit coaches are passionate about CrossFit, fitness and personal training. They are here to make your individual goals reality. With a Bachelor of Science in Kinesiology from Cornell College, IA, and Master of Arts in Organizational Leadership from St. Ambrose University, IA Kyle has individualized his approach to programming, but was guided by many individuals. Kyle has a few loves in his life; his wife, daughter, and family. Along with basketball, baseball, football and Ozaukee CrossFit. Something that is very important to him is to see any athlete find success, and to be able to be part of that experience. A multisport athlete in high school Joe spent his collegiate years as a defensive back for Concordia University while graduating with a Bachelor of Arts in Mathematics. Working with Concordia’s strength and condition coach, Rustin Clewien for a semester, Joe found his true passion in the gym helping athletes achieve their goals. With over two years of CrossFit coaching his emphasis is on preparing Ozaukee CrossFit athletes for competition along with personal training classes and motivating others. As a Germantown High School All State athlete in Football, Wrestling and Shot Put, Jason went on to play football at UW La Crosse and was a two-time All Conference offensive lineman. Graduating with a degree in Physical Education he taught and coached at Homestead High School before starting his personal training career. Jason brings elements of CrossFit, weightlifting and general fitness to his personal training and coaching style. Active throughout her life she has engaged in athletics in high school playing volleyball, basketball and running track. She attended the University of Kansas earned a Bachelors Degree in Exercise Science and for two years she personal trained a wide variety of clients. Heather continued her education and earned a Bachelors Degree in Nursing, she works as a part time nurse at Aurora St. Luke’s Medical Center. Heather has been doing CrossFit for two years and loves the community and constantly varied, high intensity CrossFit workouts. A collegiate football player and graduate from Concordia University with a major in Sport and Entertainment Management. In his senior year he was voted team captain, which allowed him to break into his leadership role. It was at this moment that he knew that he wanted to coach and help others change the way they view fitness. Olympic weightlifting since high school the “Manchild” does like making surprise appearances in Crossfit classes as well. Especially when a barbell is involved! Fitness and being physically active is something that has always played a large role in my life. My journey with CrossFit started when I tried my first class while studying abroad in Copenhagen, I found myself wanting to go back day after day. Helping kids and teens achieve their goals and gain confidence is such a wonderful feeling and I’m so excited to have the opportunity to combine my love of fitness and teaching here at Ozaukee CrossFit! Allie spends her time volunteering with children in several local hospitals in hopes to one day become a children’s Occupational Therapist.